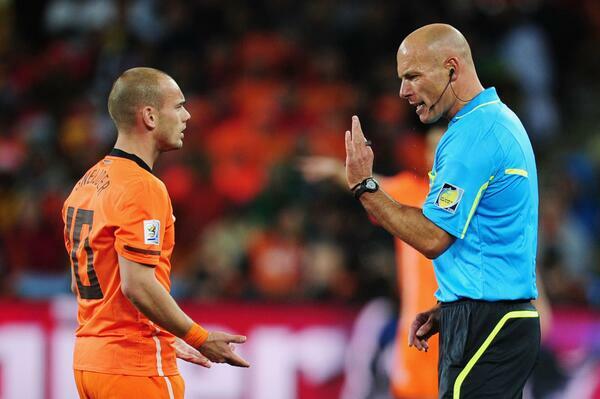 Retired pro referee Howard Webb is moving around the Major League Soccer (MLS) where Video Technology is being adopted. The highly revered football match official moved from the New York Stadium to New York City as he spearheads the implementation of the technology in North America’s top flight. Webb is overseeing the development, education, assessment and assignment of Video Assistant Referees in the MLS from the Manhattan office. He feels it is a long way from his hometown of Rotherham but he could not pass up the chance to head the refereeing innovation. “When I started refereeing in 1989 in Rotherham’s local leagues, to think that I’m here in New York now heading up the video review project, you just wouldn’t have believed it,” he said. He revealed that he was approached by the MLS to head the video review project so he accepted as it was “a really good opportunity” to combine field experience with recent TV work. “I’ve enjoyed every moment of it. It is an exciting, challenging project,” he says. On the video technology, he says his aim is: “maximum benefit for minimum interference.”With the launch of the VAR in the league, officials have been trained to make their actions efficient as possible, without disrupting the game – one major concerns for many. The video review team focus on four major areas: goals, penalties, direct red cards and mistaken identity. The VAR recommends a review which the referee decides to accept by making a box signal. The final decision remains with the referee on the pitch. Webb opines that the system implementation so far has been solid. He admitted that there were targeted improvements as the plan is to be as consistent as possible. “It’s a challenging project but so far we’re fairly pleased with the way it has been implemented,’ he added.